Earn $34.99 in Rewards credit (3499 points) What's This? 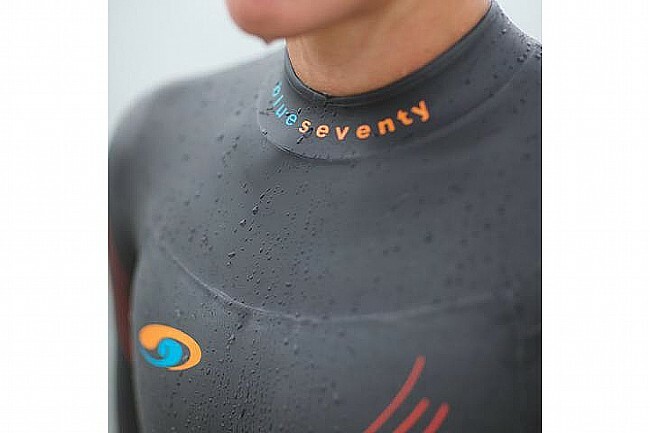 Constructed from varying densities of hydrophobic Super Composite Skin (SCS) coated 38 cell Yamamoto neoprene, the Fusion Wetsuit from Blue Seventy cuts through the water easier than the competition. Updated for 2018, the new Fusion boosts comfort and reach while still maintaining an affordable price tag. 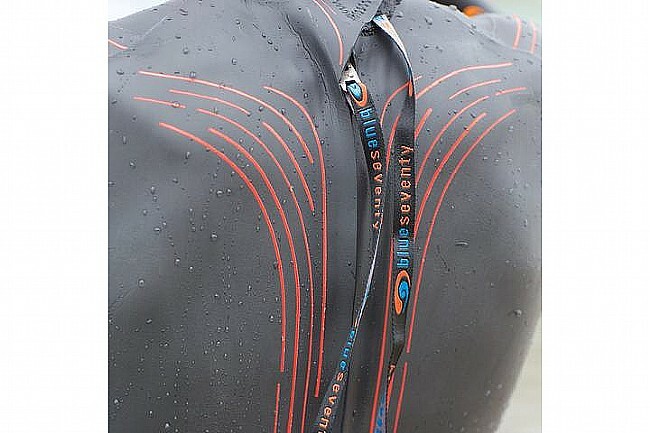 Using Blue Seventy's 3-5-4 buoyancy profile, the Fusion uses 3mm of neoprene in the chest panel, increasing to 5mm around the core, hips and lower torso, while the legs are finished with 4mm of neoprene. 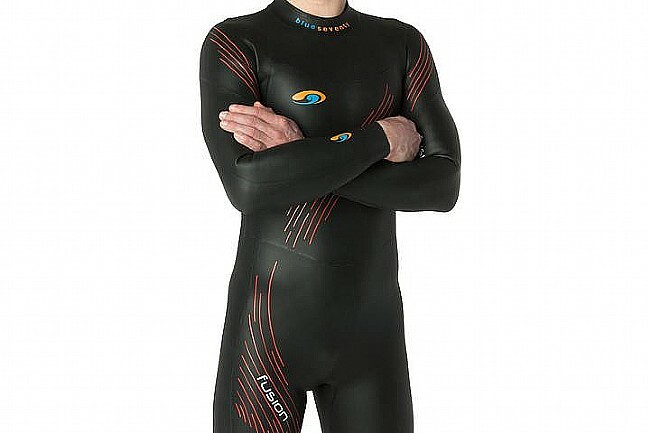 The buoyancy of this suit is concentrated at the hips and lower body, where that 5mm neoprene is, improving your swimming form and aiding in breathing. Featuring thin 1.5mm neoprene throughout the arms and shoulders, providing freedom of motion and comfort for an unimpeded stroke. The Fusion also incorporates the Honeycomb forearm panels, designed to improve forearm water-feel which in turn boosts swimming power, enhances your technique and reduces injury risk. Varying densities of 38 cell Yamamoto neoprene focuses buoyancy at the hips and core. 3-5-4 Buoyancy profile focuses buoyancy in the hips and lower body, aiding swimming form. 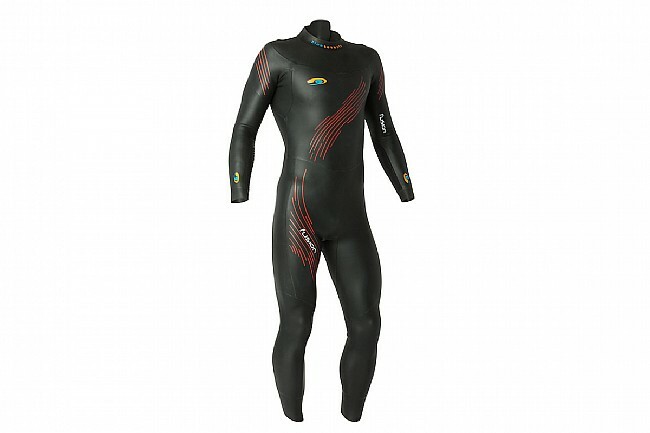 Thin 1.5mm neoprene through arms and shoulders provide great flexibility while you swim. Honeycomb forearm panels increase your power and enhance your technique. 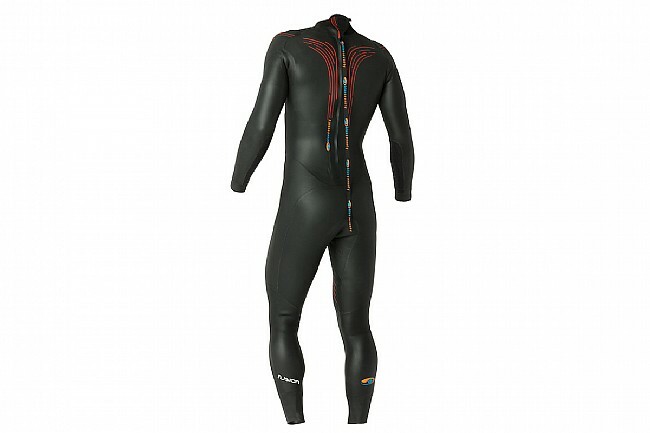 Super Composite Skin (SCS) coating throughout wetsuit reduces drag and protects neoprene. 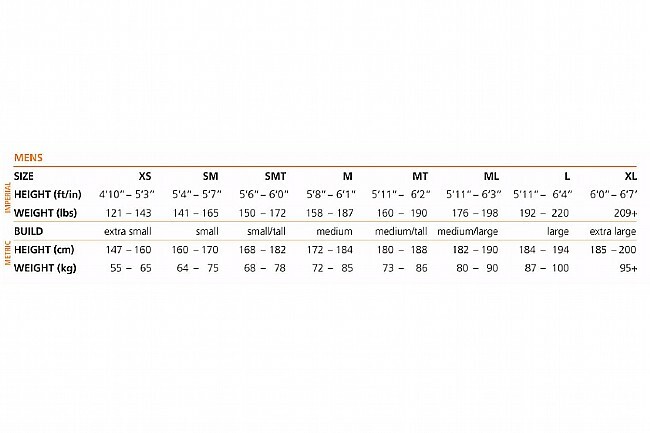 Height 4'10"-5'3" 5'4"-5'7" 5'6"-6'0" 5'8"-6'1"
Height 5'11"-6'2" 5'11"-6'3" 5'11"-6'4" 6'0"-6'7"